Learning through immersive experiences has long been a rewarding approach to education of all kinds, and with the arrival of 3D printing technology, you can apply this method nearly everywhere. Translating ideas into 3D objects changes the way you teach as well as the way your students learn. 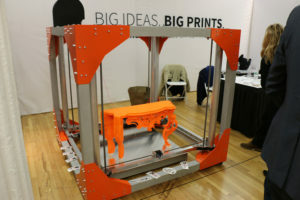 From desktop printers to professional online services using high-grade printers, 3D technology is becoming a valuable creative tool in many courses of study beyond 3D computer design. Although you may find many 3D printers are too expensive for use in a classroom environment, even the basic models facilitate interactive learning. 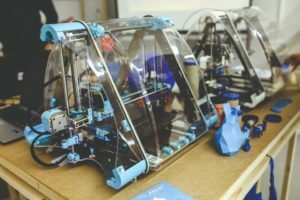 Apart from cost, another obstacle to 3D printing in schools is the lack of familiarity in most instructors for utilizing this technology or the techniques for applying it to everyday educational use. Yet 3D printers are a natural choice for instruction in STEM courses. The applied knowledge in designing and creating working objects prepares your students to excel in these areas of study while acquiring valuable experience in pursuing technical careers. 3D printing and mathematics can work together perfectly in order to create accurate representations of hard to grasp mathematical concepts. Some students have difficulty understanding formulas and diagrams that exist only on paper and 3D printing can be used to help them envision concepts they might have trouble with. 3D printing allows those students who have trouble envisioning equations, elaborate graphs, and complex mathematical arrangements to experience real-world models. Also, 3D printers bring a “cool” technical aspect to a subject which most students traditionally find stale and boring. In general, 3D printing has numerous advantages and in education, one of its biggest advantages is producing scaled models of objects that are simply not accessible in other ways. Instead of Internet searches or museum excursions, students can hold in their hands accurate representations of fossils, tools, and other artifacts from the past. You and your class can design and create 3D replicas of historic inventions, extinct creatures, and famous battlefields. 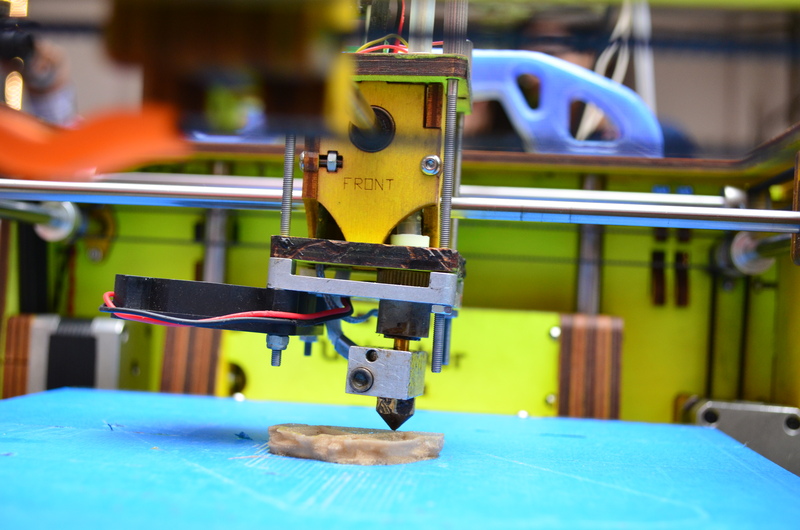 3D printers can allow students to understand and explore the past in a personal and tangible way. 3D replicas can be produced cheaply and manipulated in various ways to explore developmental concepts. This is a much more exciting way of studying history than to read chapter after chapter of text, with students forced to memorize names and dates instead of comprehending the significance of events. The ability to handle and examine historical objects contributes in many ways to making history lessons more interesting. 3D is the ideal way for your students to visualize geological formation on a scale not possible with 2-dimensional maps and images. You and your students can create and print out 3D models of mountains, canyons, rivers, or any area of the Earth’s surface. This is an excellent way to get a feel for the look and scale of famous natural landmarks without having to travel there. Data from any topological map can be reproduced accurately in the physical world. Information such as population, international spending, and even popular tourist designations can be rendered in a 3D format to give a more comprehensive approach to geography. Demographics, resources, highways, and cityscapes can be produced in 3D as well as topographic info to revolutionize the way you explore geography. This provides a fun, almost game-like educational experience that you and your students can enjoy. 3D printing provides a brand new approach to methods of design and graphics. Students no longer have to rely on two-dimensional screens and images to understand 3D models. 3D printing allows design students to explore scaled, sophisticated models they could never prepare in your lab or workshop. The introduction of 3D printing to educational environments means students can iterate through variations of their designs and see how they perform. Young designers can push their creative ideas as far as your 3D software allows. 3D printing, which has impacted so many industries, is only beginning to be appreciated as an aid to education. 3D printing adds new emphasis to the proven theory that hands-on learning is more easily grasped and retained than pencil-and-paper classroom lectures. It can benefit virtually any field of study by allowing students to better grasp concepts of mathematics, geography, history, and design by personal interaction with their own real-world creations. Lisa Michaels is a freelance writer from Portland. She is interested in educational technology and does her best to stay on top of the newest tech toys used in her daughter’s school. She spends her free time trying out new recipes or reading Scandinavian crime novels. Feel free to connect with her on Twitter @LisaBMichaels.